(NaturalNews) Before Univ. of Florida professor Kevin Folta was exposed as a Monsanto puppet and academic prostitute, he was widely quoted in mainstream media's attack stories on clean food activists like the Food Babe. 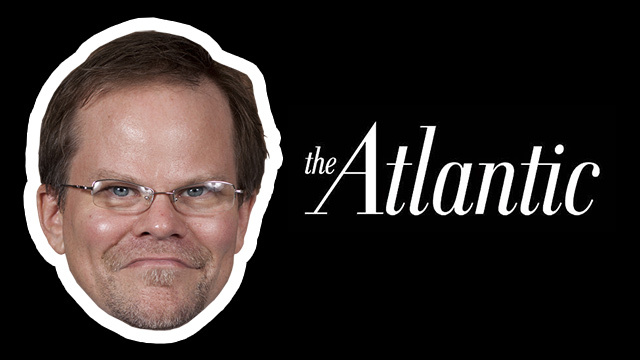 The Atlantic, in particular, bought into the Kevin Folta cover story hook, line and sinker. In this hit piece by James Hamblin, published in February of this year, The Atlantic gave Folta full rein to accuse the Food Babe of all sorts of dishonesty and hucksterism, all while Folta himself proclaimed he had absolutely no financial ties to Monsanto. As we now know, Kevin Folta was lying. But The Atlantic didn't question his lies, and they printed them as fact. Even more, The Atlantic still doesn't question his lies and has so far refused to retract their stories citing Kevin Folta as their primary source. [The Food Babe], likewise, accuses Folta of conflicts of interest through ties to Monsanto, specifically due to his involvement with a project called GMO Answers. He admits to having industry friends and open lines of communication with biotechnology companies, and he has spoken at Monsanto. He understands the job of the academic scientist to include helping farmers optimize whatever seeds they have "whether they come from Monsanto or Johnny's Organic Seeds in Vermont" -- where he'd also gladly speak. But he denies financial ties. Got all that? Folta accuses the Food Babe of running a "scam" while insisting he's no scammer at all. He has no financial ties to Monsanto whatsoever, he claims. It's even "the most insane thing I've ever heard," he insists. Hilariously, this is not long after he personally sent an email to Vani Hari (the Food Babe), insisting, "I work as an independent, public scientist. Companies have no control of my research, my results or my opinions." Among his many "benefits" from Monsanto, Folta even gets trips to Hawaii where all the hotel rooms are "prepaid by Monsanto." Wow. Must be nice. In the same document dump, another university-related Monsanto shill declares, "It's a pleasure shilling with you." That was written by Camille (Cami) D. Ryan, B.Comm., Ph.D., Independent Research Consultant and Public Speaker, Professional Affiliate, Department of Bioresource Policy, Business & Economics College of Agriculture University of Saskatchewan Canada. As Natural News reported last week, "Folta's email correspondence revealed that he accepted a $25,000 grant from Monsanto last year and was told that the money 'may be used at your discretion in support of your research and outreach projects.'" In other words, Kevin Folta lied to The Atlantic while flinging false accusations that James Hamblin worked into a hit piece on the Food Babe. The whole time, Folta was a Monsanto puppet, a fact that The Atlantic failed to ever mention. Now maybe Hamblin, the author of the story, made an honest mistake. I'm not accusing him of being a Monsanto operative. It's reasonable to suspect that he's just a little too inexperienced in this realm to know when he's being exploited by a trained Monsanto operative. But if it was an honest mistake, then shouldn't the publisher apologize for it and correct the record? Sadly, when Folta is now exposed as a total liar via his own recorded emails that he desperately hoped no one would uncover, The Atlantic does nothing. No retraction, no apology to the Food Babe, no updating of their article, nothing. Journalistic malpractice, anyone? I ask all of you this simple question: How can The Atlantic even pretend to be engaged in journalism when they are so easily hoodwinked by a Monsanto operative, and then after the truth comes out, The Atlantic refuses to correct their own published stories based almost entirely on a proven academic liar! Much like Kevin Folta himself, The Atlantic has some serious explaining to do if they hope to retain any semblance of journalistic credibility. How were they so easily scammed by a Monsanto operative? And why didn't they correct their story when the truth came out? In the world of science, when a scientist is found to have lied about his research, the academic journals retract the published studies. Now that Kevin Folta has been exposed as a Monsanto operative who falsely denied having ties to Monsanto, Natural News is publicly calling for The Atlantic to issue a retraction of all their stories quoting Kevin Folta -- stories in which The Atlantic utterly failed to ferret out the truth that Folta was secretly serving as a Monsanto attack dog while exploiting the trust (and perhaps gullibility) of The Atlantic editors to accomplish that task. The Atlantic got hoodwinked. They got suckered. They got conned by the very guy accusing the Food Babe of running a con. Yet the Food Babe is running no con at all; she's an advocate for something we should all agree on: CLEAN FOOD. You know, the kind of food that doesn't contain cancer-causing glyphosate, an herbicide frequently used alongside GM crops. So The Atlantic owes the Food Babe a serious apology. In fact, if they had listened to the Food Babe and believed her, their story would have printed the truth instead of Monsanto's lies and propaganda disguised as statements from an "independent academic professor" who has now been exposed as a fraud. Or visit their Facebook page and join thousands of others who will soon be posting demands for The Atlantic to retract their Monsanto propaganda stories and issue an official apology to Vani Hari (the Food Babe). Click here for The Atlantic's Facebook page. After all, The Atlantic made a huge mistake. A monumental error in judgment. They wrongfully accused a woman who is tirelessly working for clean food, and in doing so, The Atlantic allowed its magazine to be hijacked by Monsanto via a corrupted academic prostitute. If that's not something they feel they need to correct and apologize for, then they aren't journalists in the first place. If The Atlantic doesn't retract the articles and apologize to the Food Babe, then it's pretty clear that they are designating themselves as yet another Monsanto front group in the world of fake media, where printing lies that appease the corporate masters is far more important than printing the truth.